DETROIT -- Ford Motor Co. plans to sell a high-performance version of the redesigned Focus compact car in the United States, the company said today. The automaker will reveal the three production-ready body styles of the 2012 Ford Focus compact at the Paris motor show late this month. 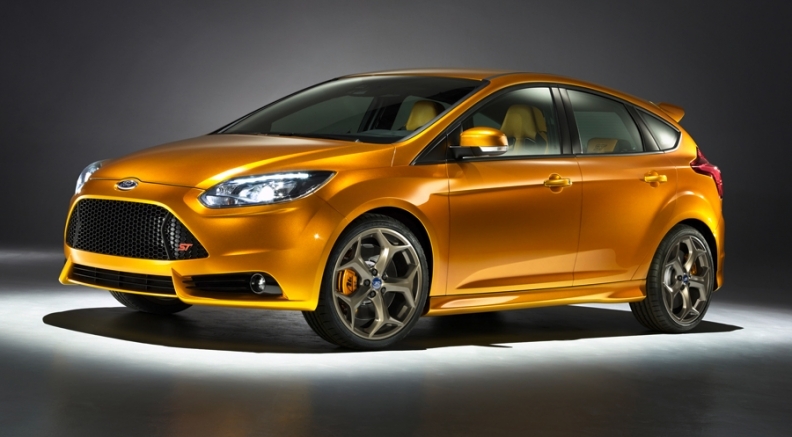 It also will unveil a preview model of a high-performance 250PS Focus ST at the show. The high-performance Focus will launch in early 2012, likely as a 2013 model year. At the Paris show, Ford will also display the next-generation Mondeo mid-sized sedan, five-door and wagon versions. Ford also will introduce the low-emission Mondeo ECOnetic variant. The redesigned Ford C-MAX and Grand C-MAX will be displayed at Paris. The C-MAX is a seven-passenger compact minivan that Ford will sell globally. It's on the same compact vehicle platform as the 2012 Focus. U.S. sales of the C-MAX and Grand C-MAX start late next year. Ford will begin selling the 2012 Focus in the United States early next year. A sticker price in the mid-$20,000 range is expected. The Focus is significant for Ford because it's the first truly global product developed under Ford's One Ford strategy. Ford developed the 2012 Focus in Germany. It will be sold in more than 120 markets worldwide on Ford's new global compact car segment platform. That same platform will underpin at least 10 vehicles around the world and account for 2 million units of annual production by 2012, Ford said. The three body styles that Ford will display in Paris are: a Focus five-door hatchback, four-door sedan and a wagon. The high-performance Focus will use a 250PS version of the 2.0-liter EcoBoost engine. The current generation of the Focus RS is priced in the mid-$30,000 range. An electric version of the Focus is planned for the 2012 model year. Sales of the 2010 Focus through August are up 3 percent from last year, to 120,666.